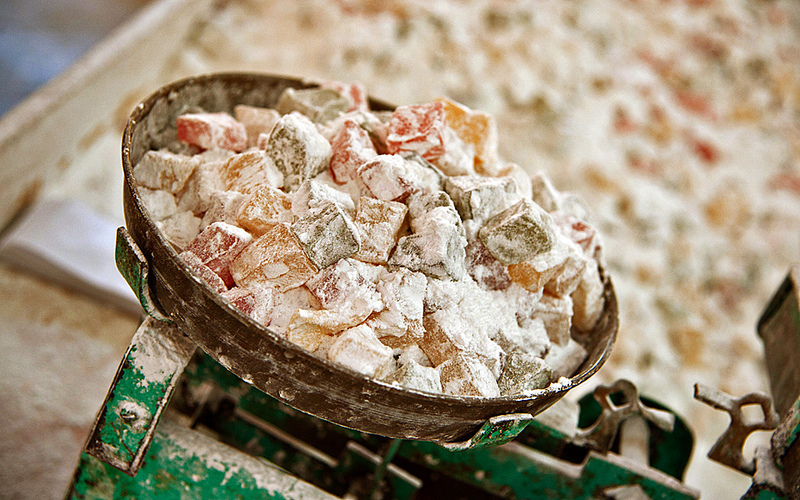 Syros is famous for its traditional products, especially “loukoumi” (the local version of Turkish delight), which comes in many flavors and with different fillings. 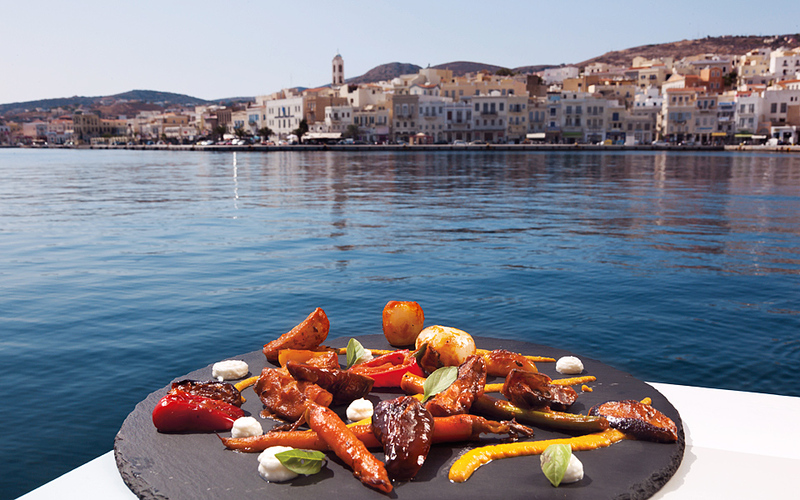 The best tables and products on the elegant “grande dame” of the Cyclades. Like it or not, this is where you’ll get into the rhythm of Syros. The breakfast has touches of Syros and Greece, as does the rest of the food served throughout the day. 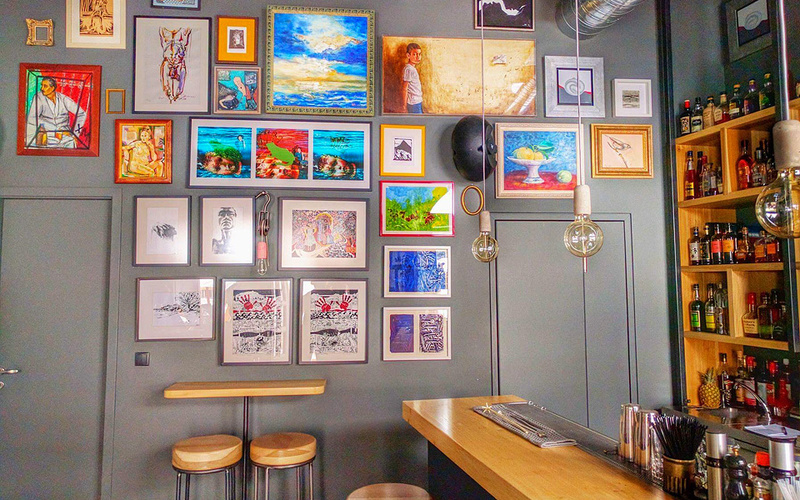 Good coffee, handcrafted drinks and Greek wines (Karamanlis and Koutsodontis, tel. +30 22810.89.248). Don’t miss out on savoring the fine wines of the island’s sole winery at the bars and restaurants. San ta Maratha, a sinewy and crisp Assyrtiko; Fabrica, a fruity, lively white from Monemvasia, and the Kountoura white. Dimitris Plytas combines Cycladic and Greek cuisine with imaginative touches and haute cuisine techniques. Don’t let this scare you: the food is delicious and the prices are very friendly. Try the vlita greens with crispy onions and lemon cream, the briam with hot curd, and the fillet of sea bream with seaweed and soy (Petrou Ralli 6, tel. +30 22810.85.000). 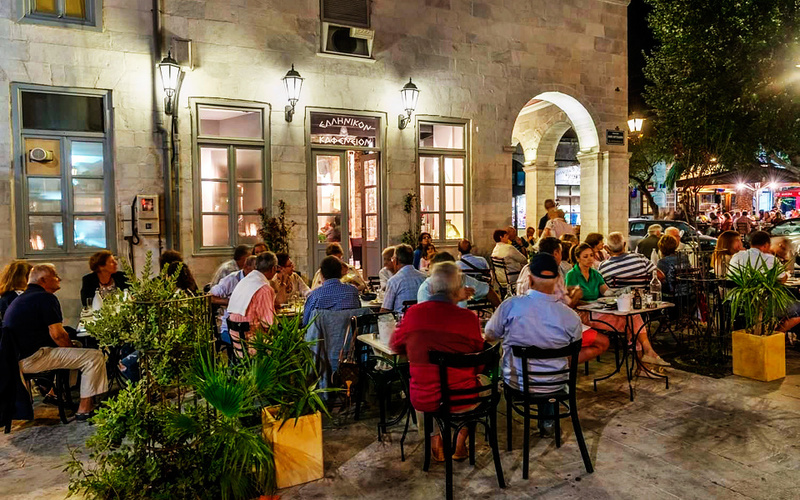 You will also find taverns and restaurants catering to all tastes and budgets in an area graced with bougainvillea on Klonos and Kyparissou Stefanou Street. This is where locals and visitors head to in the evenings in a pedestrian zone for tasty and authentic cocktails (Emm. Roidis and Souris, tel. +30 22813.00.880) Open from the morning with good coffee. Also try Boheme del Mar on the seashore (P. Ralli 10, tel. +30 22810.83.354). All workshops make good loukoumia (delights) and nougats, but I have a slight preference for those of the Sykoutris family. Their loukoumia are finely scented and extra soft. They don’t add glucose. You will find them at outlets on Miaoulis Square (Tel. +30 22810.81.390). Also, try the nougat with cranberries! This year, the famous xeroloukouma were also revived, namely delights that have been dried in special storage conditions for 12 months. 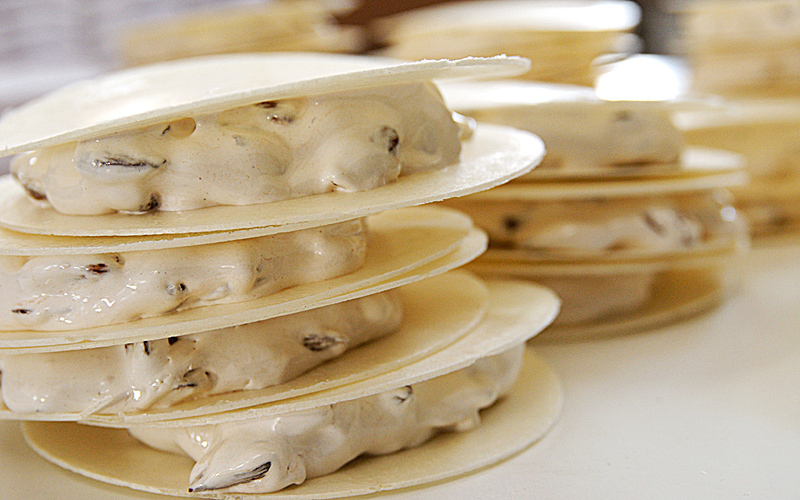 It’s a royal dessert and is, available at the Prekas delicatessen. Other loukoumia makers can be found by the port. The two cheese makers of the island, Zozefinos and Tyrosyra, produce xynotyro, marathotyri, gruyere and the famous “parmesan” of Syros, the San Michali cheese – ask for the well-matured type. 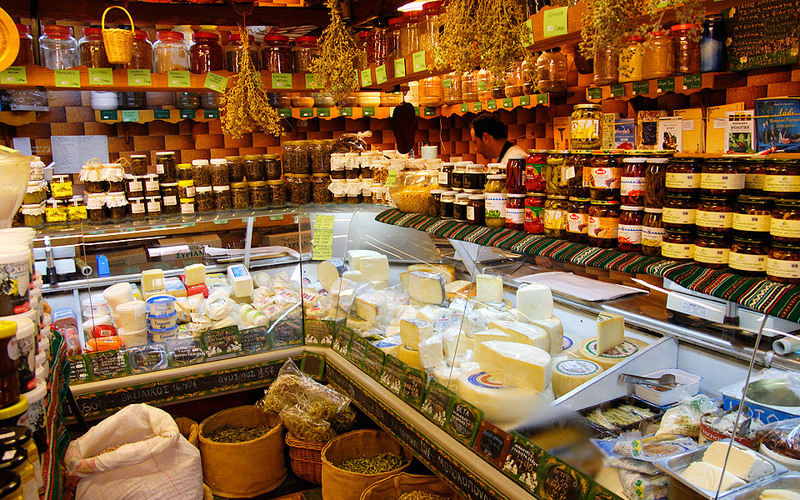 Their products are available at restaurants and grocery stores on the island, and in certain places in Athens. Local delicacies still made by the butchers. 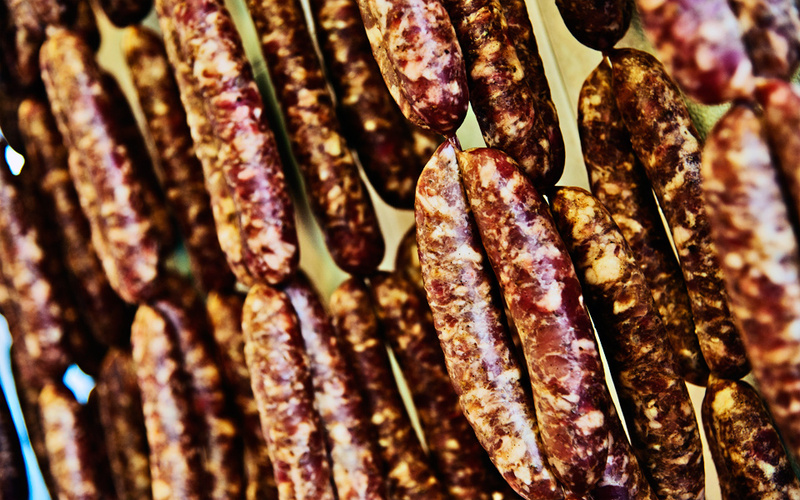 Look for them at butcher stores in Ermoupolis market and in delicatessens. Roussounelos butcher store (Iroon Polytechniou 50, tel. +30 22810.87.538) – on the road to the airport – offers a slightly sweet, spiced loutza that contains nothing that differs from the basic recipe, but is much more robust and fragrant. Mr Prekas has collected everything produced on the island – and beyond. The xeroloukouma of Sykourtis, the wines of the local winery, local cheeses and sausages, light jams, exquisite organic herbs and, Cycladic Organic infusions, as well as his own fennel paste, marathotyri and dried capers (Chios 4, tel. +30 22810.87.556).